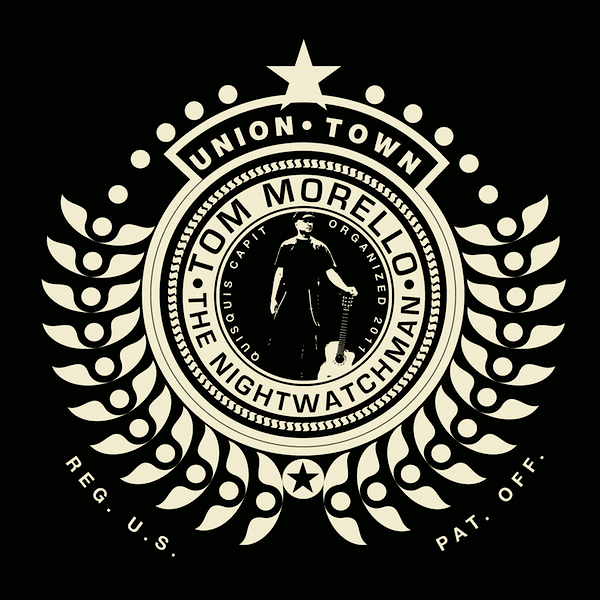 Tom Morello is as well known for his heavy guitar riffs with Rage Against the Machine, Audioslave, Street Sweeper Social Club and his solo acoustic act The Nightwatchman as he is for fervent political activism. Co-founder of the political group Axis of Justice, whose declared purpose is “to bring together musicians, fans of music, and grassroots political organizations to fight for social justice together,” Morello has championed causes ranging from immigration reform and ending war to abolishing torture and the death penalty. Inspired by the labor struggles in Wisconsin, his “Union Town” EP aims to invigorate listeners to stand up, get active and fight for the rights of workers, with 100% of proceeds from record sales going directly toward this cause. This interview by Linda A. Rapka. What did you hope to stir in listeners with the release of “Union Town”? I was very inspired by what I saw at the protest in Madison, Wisconsin. I’ve played at hundreds of demonstrations and union events, but the energy in the city of Madison was unlike anything I’ve ever seen. I wanted to do as much as I could as fast as I could, so I recorded the “Union Town” record and am giving 100% of the proceeds away to the union struggles across the country. It seems you’re equal parts musician and political activist. In your world, is there any distinction between the two? Well, those have always been my two passions. I didn’t choose to be a guitar player, that chose me, and so once I was stuck being a musician I had to find a way to weave my convictions into my vocation. Fortunately the outlet of The Nightwatchman allows me to do that in an unfettered way. Being a solo acoustic troubadour is like being a guerilla fighter of folk music. I can answer the telephone call and be on the frontline the next day. Being so involved in myriad causes — fighting racism, torture and war to standing up for the rights of immigrants and now for workers — with so much to fight for, what is it about these particular causes that strikes a personal chord with you? I was raised in a household where it was imperative to stand up for the underdog and to do for others. I’ve been a member of the Los Angeles musicians union Local 47 for 22 years and I’m a “red card” carrying member of the Industrial Workers of the World, so labor issues are near and dear to my heart. My mother was also a union public high school teacher for almost 30 years in Illinois, and so the attack on public sector collective bargaining, I take very personal. When did you first become passionate about unionism? The Morellos come from a coal mining town in central Illinois, so coal mining politics and unionism were something I was aware of from a very early age. Unions are a crucial counterbalance to the raw corporate greed that has torpedoed our economy, threatens our environment, and is attempting to strip away decades of social progress. The Republican governors and their corporate masters are trying to make this a country of the corporation, by the corporation and for the corporation, and that doesn’t leave very much room for us. It seems sometimes that only one side is fighting a class war in this country, which is why we need to get organized and fight back. How far do you think music can push forward politics? I know music has greatly inspired me in my political work. It was groups like the Clash and Public Enemy that presented a world view that made sense to me and made me feel part of a global community of activist musicians who were not afraid to speak out against injustice and not afraid to take to the streets when our rights were threatened. In my Nightwatchman concerts I try to create a little bit of the world that we’d like to see by bringing together a diverse group of people, all singing the same songs for the same cause. What musical political activists inspired, and inspire, you? The aforementioned Chuck D and Joe Strummer were certainly important. Many musicians of course have inspired me, from Randy Rhoads to Charlie Parker, and on the political front Joe Hill, the great poet laureate of the American labor movement in the early 20th century, to people like Woody Guthrie, Pete Seeger, Phil Ochs, Bruce Springsteen, and System of a Down. It’s all part of the same mosaic of musicians who use their craft to forge solidarity and to confront injustice. You’re putting all proceeds from “Union Town” to the America Votes Labor Unity Fund, a bold statement against the anti-union movement in Wisconsin and the nation. What else can people do to support unionism? One thing you can do is visit www.saveworkers.org, where you can get a free download of the song “Union Town” and lend your email address to organizers across the country who are working to maintain our collective bargaining rights. But I think this struggle is about more than that. It’s not just about stopping a few bad laws and rolling back aggressive anti-worker legislation. What I felt in the streets of Madison and saw in the thundering rotunda of the capital building there made me think that we could be on the cusp of a bold new chapter in progressive, radical, even revolutionary politics in the labor movement. It’s time that workers in this country not just fought back but pushed forward aggressively our agenda — the working families’ agenda — from musicians to steelworkers to union cops to longshoreman. I saw a bunch of farmers to radical students, they were all in the streets of Madison, all shoulder to shoulder, standing up for our rights. The “Union Town” EP, which you can now get on iTunes, 100% of the proceeds go toward that struggle. It’s a combination of original songs of mine and classic labor class-war anthems which have been given a “Nightwatchman-izing.” So I hope you enjoy the music, and fellow musician workers, I’ll see you at the barricades.